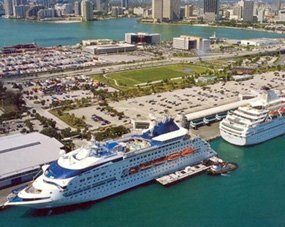 Before, and after going on your Cruise Ship in Ft Lauderdale, make sure that you have made a booking with the famous Quality Inn & Suites Hotel, which is located close to all the cruise ships in Ft Lauderdale and Port Everglades. 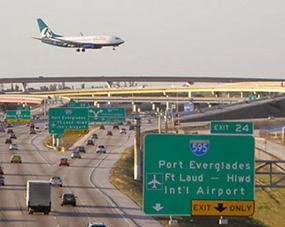 Our beautiful hotel is less than five miles from the Fort Lauderdale-Hollywood International Airport, cruise ports, and Greater Fort Lauderdale Broward County Convention Center. 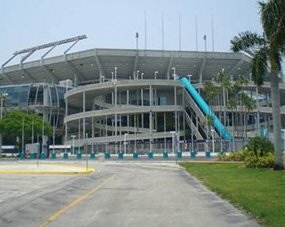 We provide shuttle service to and from the ports, and airport. The fully renovated Quality Inn & Suites Hotel, is surrounded by tropical foliage, close to the ports and airport, and also close to the hot venues, which have put South Florida on the map! Quality Inn & Suites is a smoke-free, pet friendly hotel, with only one goal, and that is customer satisfaction! You are our number one priority! Our skilled staff will attend to every detail, and make your stay with us very enjoyable. All of our rooms are very spacious, and beautifully decorated. We provide FREE WI-FI service, and each morning, you will be greeted with FREE continental breakfast! Remember, you get the best prices, when you book direct; call today, or simply click on the "Book Now" link, and get your trip started! 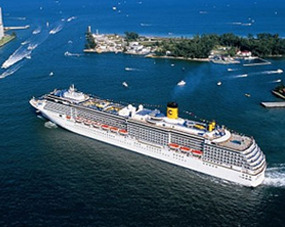 Book your stay with us, one of the best, most exciting cruise ship Ft Lauderdale hotels; we will not disappoint you! There is no point in searching for another hotel!